Your New Go-To Summer Whites from San Salvatore! Just $20 to $23! Here's an interesting thing: despite the fact that southern Italy has been making wines for millennia, the wine world is only just beginning to appreciate them. Some of Italy's best grapes--Aglianico, Nero d'Avola, and Primitivo, for reds, and Fiano, Greco, and Falanghina for whites--hail from Italy's South, and for millennia, producers have been using these grapes to craft powerful, complex wines that most people have never drunk. Until recently, it was very difficult to find wines from the Mezzogiorno, the Italian nickname for Campania, Puglia, Abruzzo, and Sicilia. Italy's southern winemakers lacked both the economy and the good name necessary to successfully market wine themselves, so they quietly sold their grapes to northern winemakers or exported them to France. The sole southern region that consistently made world-class wines is Campania, which is coincidentally where I was born, and a place I love fiercely. Today, I'm very proud to bring you three wines from a new producer, San Salvatore. Owned by Giuseppe Pagano, San Salvatore is a very special estate because it sits right in the middle of the insanely gorgeous Cilento National Park, a UNESCO site and one of the largest parks in all of Italy. Surrounded by the Tyrrhenian Sea, Cilento National Park has forests, ancient olive trees, lava cliffs that tumble to the sea, and pristine white beaches that you share with strangers like a closely held secret--it's a beautiful place to spend time or to make wine. San Salvatore, whose head winemaker is the world-famous Riccardo Cotarella, may have just started releasing its wines with the 2009 vintage, but it's already crafting heady, dizzying wines that sing of Italy's South. The three whites offered today will make your summertime delicious. This springtime weekend sees very special holidays for many peoples around the globe. Whatever you celebrate, IWM and I wish you and your family a beautiful time together, making memories and sharing love. Many wine producers tout the beauty of their landscape, the range of their biodiversity, and the specialness of their microclimate, but only San Salvatore can claim that its acres sit in the middle of Cilento National Park. Founded in 1988 by Giuseppe Pagano, San Salvatore is a traditional love song to Campanian wine, Campanian nature, and Campanian tradition. The estate's 271 acres (58 under vine) hold about 450 head of buffalo, who provide milk for the estate's DOP buffalo mozzarella and whose dung fertilizes the estate's orchards, vegetable farms, olive groves, and, yes, grape vines, when needed. San Salvatore's biodynamically tended vineyards range between 656 to almost 2,000 feet above sea level, offering a range of microclimates for its indigenous grape varietals, notably Fiano, Greco, Falanghina, Aglianico, and Piedirosso. While relatively young--San Salvatore's first vintage was 2009--this Campanian estate is on the rise, and its mineral-laden, sundrenched wines are some of IWM's most exciting finds. 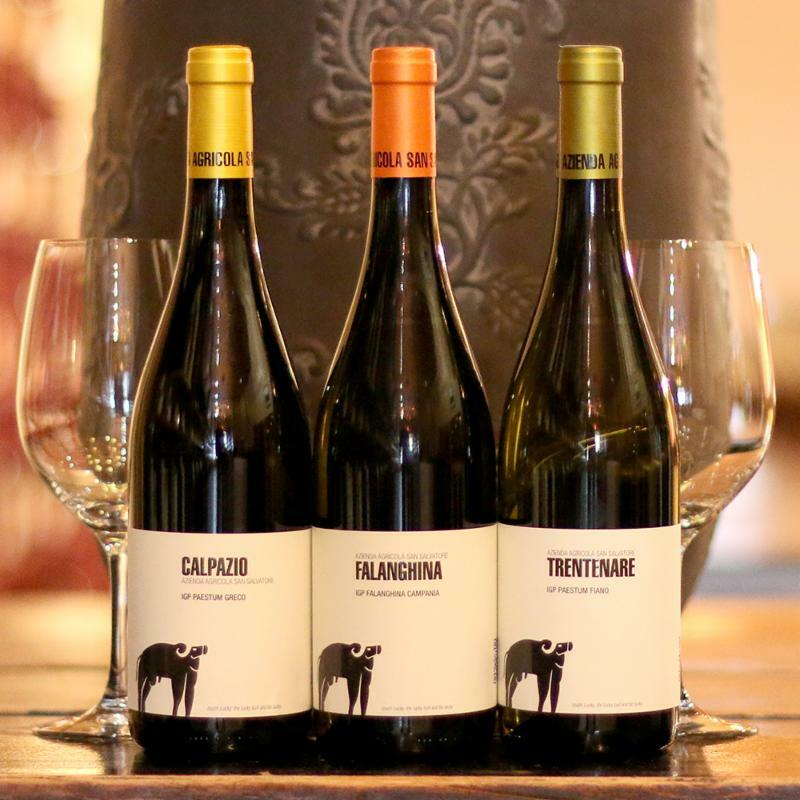 Today, we're delighted to present special, time-sensitive pricing on a trio of San Salvatore whites. All in the $20 range, today's Greco, Falanghina and Fiano could be your new go-to summertime whites! - Headed by noted consulting winemaker Riccardo Cotarella, San Salvatore crafts its wines with traditional methods, and it has built a state-of-the-art cantina powered by its own photovoltaic plant, choices that keep its carbon footprint low, its wines natural, and Cilento National Park beautiful. - San Salvatore 2016 Calpazio Greco's thrumming mineral bass line anchors this full-bodied wine's sultry fruits, while its zippy acidity whisks it to a lingering, food-friendly finish accented by roasted nuts and sea salt--it's delicious. - An intoxicating nose bursts from the glass of today's 2017 Falanghina del Beneventano, while its lively palate echoes the sappy fruits and adds a sheen of crushed minerals and a dusting of spices on the wine's extended, harmonious finish. - Focused, intense and energetic, San Salvatore's '17 Trentenare Fiano marries its laser-precise notes with tremendous depth, creating a drinking experience that is both rich and fresh, flower-strewn and savory, and muscular yet broad-shouldered. - IWM loves discovering new producers, and Campanian San Salvatore has it all: unique terroir, a superstar winemaker, organic agriculture, and very affordable pricing. - IWM is very happy to introduce San Salvatore with special, time-sensitive pricing on these three summer-ready whites; contact your portfolio manager to secure yours! This offer will expire in 48 hours on April 21st at 11:59pm ET. SOLD OUT - Please call 212.473.2323 for availability. Italian wine can be confusing, but IWM's popular Killer B's tasting brings Italian wine to its simplest--and most iconic--parts. Just Barolo, Brunello, Barbaresco and Barbera form the core of this casual, delicious event that is a perennial favorite. Let IWM's knowledgeable sommelier fill your glass with wine and your head with knowledge, and experience what makes each of these wines the most sought-after, popular and representative wines of Italy. Featuring beautiful Barolo, brooding Brunello, regal Barbaresco. and vibrant Barbera, this special sit-down tasting, accompanied by regional meats and cheeses, will help you get to know, appreciate, and love these legendary wines just a little bit better. There's a lot of buzz around these killer B's--spend a Saturday with us to see why. *Wines may be subject to change. 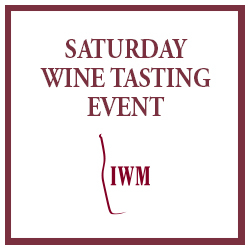 Join us for Italian Stallions, a special Saturday tasting of wines that celebrate the marriage of pure Italian power and sheer Italian elegance. Like the sight of a noble, galloping horse, "Big Red" brings to mind a host of connotations--boldness, power, and wild beauty, to name a few. While big red wines hail from all over the globe, IWM has a special love for Italy's big, daring, and intense reds. Guided by a knowledgeable IWM sommelier and accompanied by regional meats and cheeses, this glorious tasting will feature opulent, dense, and unexpectedly finessed red Italian wines (perhaps with a surprise white for balance), coming from some of our favorite Italian producers. This event is big, it's beautiful, and it's only available at IWM, the world's leading authority in Italian wine. Learning from his father and grandfather, Bruno Giacosa was influenced by Piemonte's winemaking traditions, and he found his inspiration in wines from the past, when there was less sophistication, fewer treatments, and less handling, and in so doing, Giacosa, who passed way in 2018, led the way in traditionally styled Barbaresco an Barolo. 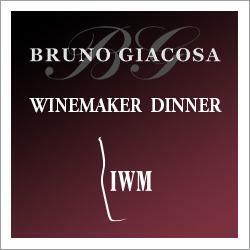 We'd like to invite you to join IWM as we celebrate the new releases of Bruno Giacosa wines with the estate's brand ambassador, Daniele Sbordi, at a special five-course dinner! Featuring Bruno Giacosa's 2015 Barbaresco Asili, Barolo Falletto di Serralunga, and Barolo Falletto Vigna Le Rocche, this dinner will give Giacosa fans a first look at one of the greatest vintages in the new millennium. Like a jeweler creating the ideal setting for a beautiful gem, IWM's own Chef Michael Marcelli and his in-house kitchen staff will create dishes that will perfectly complement these new Giacosa releases, making for a memorable, intimate evening. Great wines from a legendary winemaker--it's an event that could only come from IWM, the world's leading authority in Italian wine. IWM will do our best to accommodate guests' dietary restrictions with advanced notice. Brothers Salvatore and Giampaolo Geraci founded the Palari estate with the desire to return the ancient Sicilian wine Faro to its former glory, and, judging from Palari's results, they have succeeded. 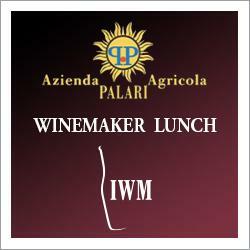 IWM invites you to join us and Salvatore Geraci as we explore, experience and enjoy the fruits of Palari's efforts at a very special winemaker lunch. Featuring five delicious courses, created by IWM's own Chef Michael Marcelli and his in-house staff, and showcasing multiple bottles of Palari's world-class wines, this luncheon event will be hosted by winemaker Salvatore Geraci, who will give insights into Palari's land, history, wines, and vintages. Intimate, delicious, and inspiring, this winemaker event will feel like a trip to Sicilia--without ever leaving glamorous Union Square. *Wines may be subject to change, menu to be announced. For more information, please visit our website Wine Events Page.